Now there are these amazing looking Leggings With Stitched Design. 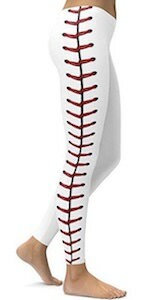 These women’s leggings are all white with the exception of the side three you can see a stitched design just like you would see on a baseball and that makes these leggings great if you like sports or just want some amazing leggings. You can get these leggings in women’s sizes Small-XL and I am sure that people will notice how amazing you look when you wear these instead of boring plain black leggings like everyone else. Now you can look stunning all thanks to this Mermaid Style Long Dress. This dress is made for a formal party or maybe even prom and besides the black one, we show you it also comes in white and red and you can see them by clicking on the picture. This dress is sleeveless and has nothing on the shoulder too and it is really fitting to around the knees where it fans out which gives it like a mermaid look. 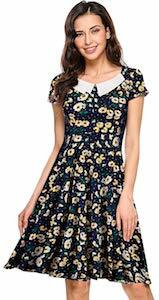 You can get this nice and long dress in women’s sizes Xsmall – Large. Now there is this fun Ruffle Crop Top. This women’s top may be great as a costume piece or just something to wear out and about. As you can see this crop top has long sleeves and keeps your belly and shoulders exposed while looking great because it looks so puffy. And if you don’t like white then you are in luck as you can get this crop top in black and red too. You can get this fun top in sizes Small – Large. Get your Ruffle Crop Top for $12.47 and Free Shipping. If you like to be ready for the warm weather then how about some nice Levi’s Mid Length Shorts? These women’s shorts are available in a wide range of colors and in sizes 00 – 18. 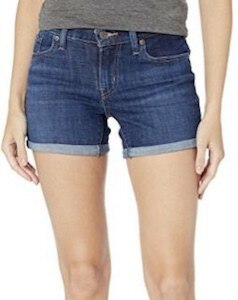 These cute mid length shorts are made from comfy denim shorts made from 79% Cotton, 19% Polyester, and 2% Elastane. And these Levi’s shorts are just perfect and look great and if you don’t like the classic denim blue then you can choose different options too and you can see them all by clicking on the picture of the shorts. Now you can have nice longs Thigh High Socks. Sure you can wear ankle socks under that dress or skirt but thigh high socks could look way better and this is a set of two and they are black and dark gray. These socks are just great on women that like to have their knees covered by socks. And these socks are made from 80% Cotton, 12% Nylon and 8% spandex so that they are nice and stretchy and warm. I am sure these long socks will look great on your legs so come check them out. Now there is a cute Just Peachy Pajama Set. 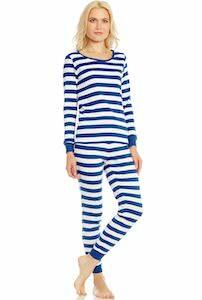 We all like to be comfortable at home and in bed and that is why this pajama is just perfect as it is perfect for lounging and sleeping. The pajama set has cute pink shorts that has many peaches on it and then there is the top which is a t-shirt and a peach on it and the text “Just Peachy”. 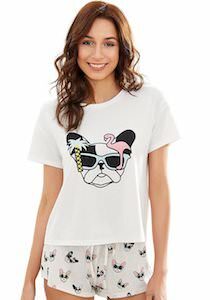 You can get this pajama in women’s sizes XSmall – 2XL and they are made from 95% polyester and 5% spandex. Now there is this nice Velvet Dress With Floral Sleeves. The short dress is black and has long sleeve that are sheer mesh and have a floral pattern on it that adds a bit of color to the design. And if you don’t want flowers or black then click on the picture as more options are available. Now you just need to pick the right size from XSmall – 2XL and you are all set for a fun party as this dress is jus something cute to wear. Now you can be wearing these women’s Red and Stripes Leggings. These Twin Peaks inspired leggings are red on the top and around the knees black and white zig zag stripes show up and they go all the way to the bottom. You can get these leggings in women’s sizes XSmall – 2XL and they are made from 100% polyester and are stretchy and quick drying. Wearing these leggings is just way more fun then just plain black and it does get your notice as it just looks fun and if that is what you are then wear them. Now you can have this Brown Strapped Crop Top and it will make heads turn. This women’s crop top come in women’s sizes 0 – 8 and comes besides in brown also in black, grey, and Burgundy red. The crop top is made from fake suede and that makes it look really nice. As you can see the crop top has the summer vibe going and most of the back will be uncovered and on the front you can see your belly button and you shoulder will be fully exposed too. And there are some spaghetti straps around the neck and also on the lower part of the top you can see some criss cross straps and a couple the go all around the waist. 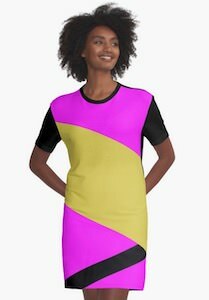 Come check out all the options of this fun top. If you like something fun to wear to sleep or lounge in then you should check out this Yellow Onesie Pajama. The women’s onesie is available in many sizes and the are all made from 100% polyester fleece making it nice and warm and just perfect for sleeping in and being comfy at home. As you can see the onesie is nice and bright yellow with black details around the hands, legs, pockets, neck and the zipper. 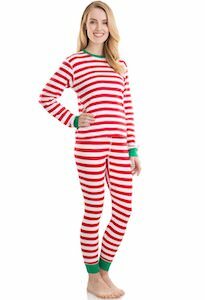 And if yellow is not really your color but would like a fancy color onesie then click on the picture as this pajama comes in many other colors too including pink, plaid, orange, and more.